On May 13th Ascend Together's RISE Gambia program hosted a celebrity guest. One of Forbes’ 30 most influential African entrepreneurs under the age of 30, Momar Taal is a rising star in Gambia, having started a million-dollar agriculture business, Tropingo Foods. 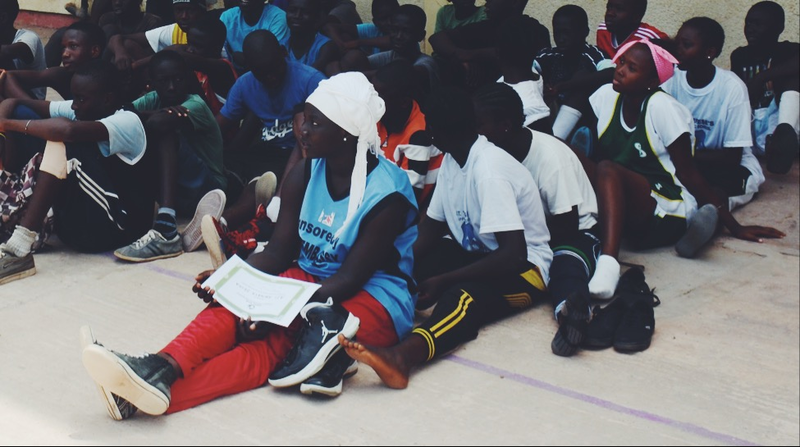 Mr. Taal had a simple message for the young men and women in the RISE Gambia program: you can make a life for yourself here in Gambia, you don’t need to go to Europe to make money. Gambia has one of the highest rates of migration to Europe of any country in the world, losing on average 0.5 percent of its population each year to the “backway”, according to UNICEF. In 2016, 12,000 Gambians, mostly young men, arrived by boat in Italy, part of a wave of migration from Africa and the Middle East to Europe. Despite its small size (roughly 2 million people), Gambians are the fifth most common arrivals in Europe according to the International Organization for Migration (IOM), rivaling much larger countries like Nigeria and Syria. The effect on Gambian society is pervasive, particularly in the provinces, where you find villages where most of the young men have gone the backway. And the route itself is dangerous. Young Gambians who take the backway are subject to kidnapping, torture, and murder while in lawless Libya, before risking their lives on a treacherous boat crossing to Italy where overcrowded boats often capsize. Over 5,000 migrants, including Gambians, died in 2016 crossing the Mediterranean. The number of migrants killed or kidnapped in Libya is unknown, but almost every Gambian knows someone who suffered some sort of abuse or worse while in Libya. So why are so many young Gambians risking their lives to get to Europe? An issue this complex will never have a simple answer, but the most common reason given by migrants is that there are no opportunities for young people in Gambia. Young people want to help their families financially and they see Europe as being the best way to do that, where the remittances sent home from even a low-paying job can go a long way in Gambia. As an organization that works with Gambian youth, Ascend Together recognizes that the migration issue needs to be addressed. So we called Momar. Momar Taal is living proof that you can make a life for yourself in Gambia with a little creativity and a lot of hard work. So, sitting in the shade next to the YMCA basketball court, Ascend students listened to Momar tell the story of how he started his multi-million dollar mango and groundnut processing and export company. “I hear from Gambians all the time ‘Gambia amuut dara’; there’s nothing here. But look around you, we’re surrounded by mango trees. Gambia has a wealth of agricultural opportunities. Mangoes can be sold whole, as juice, as jam, or as a dried fruit. Even the mango pit can be pressed to produce castor oil, which is an important component of many cosmetics products.” Upon hearing the last bit, the students looked at each other in disbelief, thinking about how many mango pits they’ve thrown away. While these students may still be a few years away from starting a business, the message was clear: there are opportunities here in Gambia; you don’t have to go to Europe. And the wheels were turning. One student, Paul Mendy, asked why aren’t pineapples grown in Gambia? Momar’s answer: someone needs to look into it. Maybe you can be the first person to start a pineapple company here. 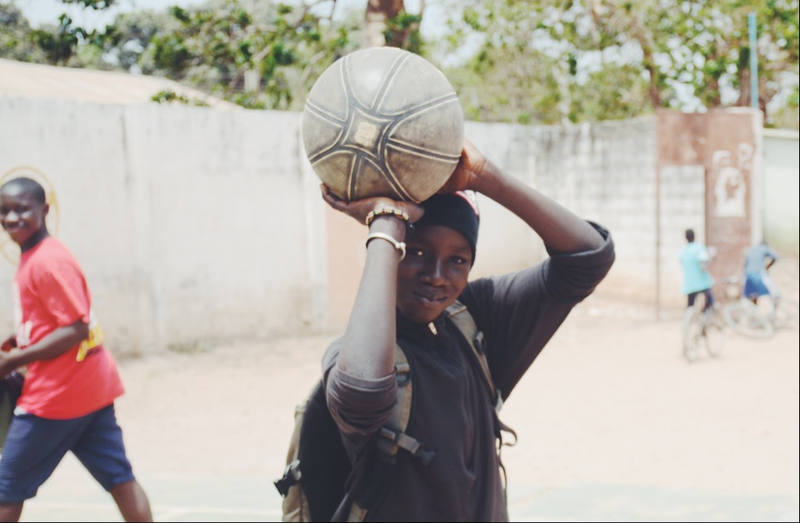 Ascend Together's RISE Gambia program is addressing alternatives to the backway in its curriculum. For more information on how you can help, please visit our website at http://www.ascendtogether.org/home/ or check us out on Facebook at Ascend Together.